Connect a USB flash drive or other external storage devices to quickly and easily transfer files to and from your OnePlus One and OnePlus X. We know that your data is precious, and protecting it has never been easier. 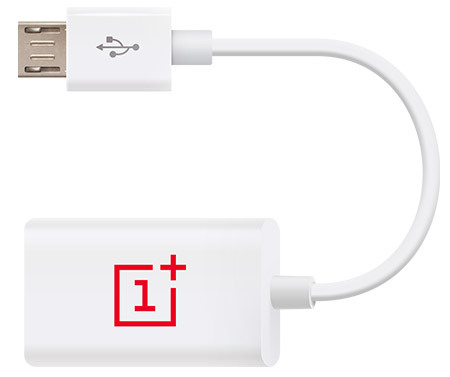 The OnePlus OTG Cable allows a host of USB devices to natively pair with your OnePlus One and OnePlus X. For a desktop-like experience, connect a mouse or keyboard to make the most of the One’s spacious display. The possibilities are endless. Connect flash drives, keyboards, mice, and more to your OnePlus One. Compatible with the OnePlus One and some other Android-based smartphones (please check with your manufacturer). Portable hard disk drives may require a separate power source to function with this device. Please note that this product is compatible with the OnePlus One and OnePlus X.